Lucy is determined to accompany her husband on a concert tour of Hawaii, even though he can't afford to take her. To wangle a free trip, she composes a sob story letter to Freddie Fillmore, host of the TV game show "Be a Good Neighbor," requesting the complimentary passage to the islands for the Mertzes and their old "mother", Lucy. Fillmore, himself a devilish prankster, contacts Ricky and arranges for him to be present at the taping. While Ricky sings "I Get the Blues When It Rains", Lucy is doused with gallons of water; when Ricky warbles "Honey," she is sprayed with honey. After being bombarded with eggs, coffee, and pie in the same manner, time runs out on her stunt and Lucy loses, in more ways than one. 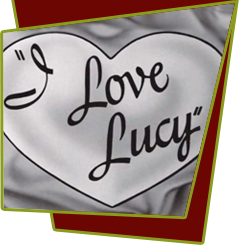 Special Notes: In the first season of the series, Lucy appeared on two game shows where Freddie Fillmore was the host ("The Quiz Show" and "Lucy Gets Ricky on the Radio"). In "Ricky's Hawaiian Vacation," Ethel introduces Freddie to Lucy, allegedly for the first time.